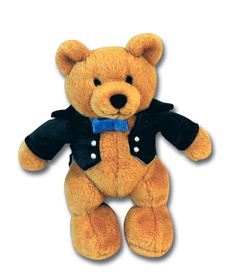 My Little Mozarts is a music program specifically designed for the preschool age group! This curriculum provides a balance between the discipline necessary for playing the piano and the enjoyment one receives from the process of music making. 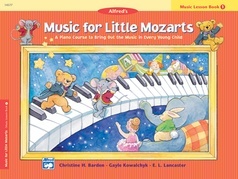 The course centers on the adventures of Beethoven Bear and Mozart Mouse™ as they learn about music. Skills taught include keyboard performance, listening, pitch matching, keyboard technique, singing, rhythm, movement, and music appreciation. Children will play pieces at the piano. You will get the most enjoyment out of class if you are able to practice! Practice 10 minutes a day, 5 days a week. Put a sticker on the lesson book page each day after your practice!